Accomplished painter Edina Sagert offers watercolor classes year round in San Miguel de Allende as well as an annual Christmas watercolor workshop in Oaxaca. In San Miguel, classes can be taken "drop in" or pre-register for the intensive 5 or 6 day 3 hour workshops in July-August. The Oaxaca workshop has a limit of 7 students, and it is recommended that you make your reservations early. During his 49 year tenure as the Instituto Allende's Professor of Silver Smithing, over 100,000 students were introduced to the world of silver by Maestro Enrique Lopez. 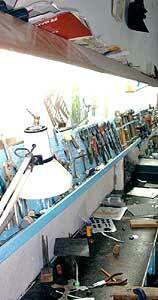 Many continued in that field and established their own studios with international markets. Since his retirement from the Instituto Allende, Maestro Lopez continues teaching to this day, now assisted by his son Antonio, in his studio at calle San Pedro #27. By limiting the classes to 10 students, individual instruction is guaranteed. The workshop is outfitted with all necessary equipment. 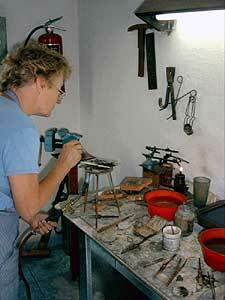 The silver jewelry courses are arranged into 36 hour sessions over 4 weeks, 3 sessions of 3 hours, 3 days per week. (Shorter time periods may also be arranged). You may choose to attend either the morning (9 AM to 12 PM) or afternoon (2 PM - 5 PM) sessions, Monday through Friday. MexArt summer teen institutes are one-month residential programs where students can focus on art or dance and Spanish language while immersed in the Mexican culture. In San Miguel, participants are integrated into the community, take classes daily, eat in local restaurants, sit in the jardin, partake in local events, and travel to nearby areas. Students are housed in a centrally located small hotel with 2-4 students per room. Adult staff members reside with and supervise participants. Private classes and workshops for young children are also available. I will also be willing to create workshop/classes to accommodate your individual need. Classes in painting and drawing for all levels of experience. (Beginners very welcome). 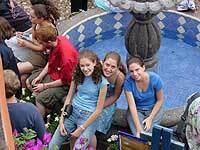 Scheduled for your individual learning and length of stay in San Miguel. Studio located in centro - convenient and colorful! Begin to access your creativity with playful and instructive visual projects. Learn to draw realistically in your own style. Explore the creative process intuitively through painting and drawing. Develop your present skills and expression. Understand the elements of art-making: visual logic, composition, color theory, paint application, content and intent. 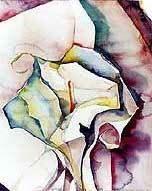 Nina Wisniewski is a painter and teacher with over 30 years professional experience. She holds an MFA from the San Francisco Art Institute (U.S.). Nina has taught, painted and exhibited her work in San Miguel since 1997. Classes can be taught in Spanish and English. SEE SAN MIGUEL WITH AN ARTIST'S EYES! Contact Nina now to arrange your classes. Space is limited! Jim Johnston is an artist working and teaching in San Miguel de Allende. Five-day printmaking workshops are scheduled throughout the year. This summer Jim Johnston will offer his five day "Introduction to the Monotype" workshops. A monotype is a hybrid art form, combining aspects of both painting and printmaking. 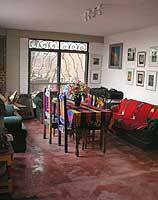 The classes will be held in Johnston's studio in the historic center of San Miguel de Allende. The cost of the workshop is $250 USD, or equivalent in pesos, which includes 40 hours of studio time and necessary materials. No previous experience is required. 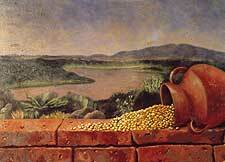 Nicholas Gilman will offer a five day workshop "Still-life painting in the Mexican Tradition" in February and March 2005. The workshop will consist of five 3 hour sessions of oil painting with daily instruction in drawing, perspective, modeling, color and paint technique and art history. Free studio time to work in the afternoons. All materials will be provided and the student will be able to take home a completed canvas at the end of the week. No previous experience is necessary and the class, limited to 8, is open to students of all levels. The workshop will take place in the new studio/gallery space at 27 Calzada de la Luz. The cost is $250 USD or peso equivalent. This fall, the Santa Fe Workshops presents the fourth-annual series of one-week photography workshops in historic San Miguel de Allende. From October 24 to November 20, veteran Santa Fe Workshops instructors lead 12 workshops in personal vision, figure study, documentary story telling, travel photography, portraiture, and wedding photography, along with workshops exploring Mexican culture and heritage. During the workshops season, the public is invited (free of charge) to view the photography of instructors and a guest photographer an evening or two each week at the Teatro Angela Peralta. For complete schedule information, please consult the weekly Atencion newspaper.